On the surface, painting seems like a simple process. However, there are a number of factors and challenges that require a trained eye. 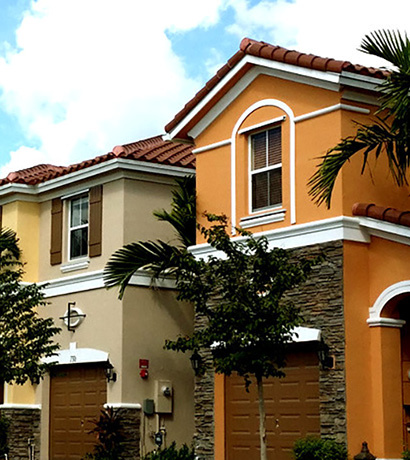 We understand that exterior paint has to stand up to everything Mother Nature throws at it, including exposure to the sun, harsh weather, and constantly shifting temperatures. Making the right choices in paint type and application are crucial to the longevity of your home’s outward appearance. On the inside there is more flexibility in the process, but it also requires precision and no small amount of prep work for us to get the best results. After all, the interior is where your guest will spend most of their time and a sloppy paint job is easily noticed and can throw off the look of an entire room. Depending on the purpose of the room and the desired look, a dizzying number of colors and paint types can be employed to achieve nearly any effect you may want. When painting, be it inside or out, we take great care to ensure a clean job that will withstand the rigors of everyday life.